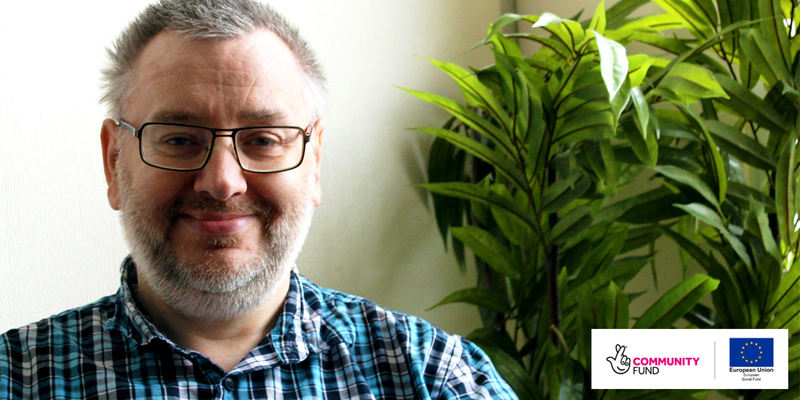 Ian was economically inactive when he joined Moving On Tyne & Wear (MOTW). After being unemployed for six years, he was referred to our programme by Jobcentre Plus. When he met his Navigator, Ian wasn’t actively looking for work. His last job had been working as a door-to-door salesman. It didn’t suit his needs and wasn’t a good fit for his health. While he now felt ready to re-enter the working world, Ian knew he had to find a more suitable direction. Ian has diabetes which limits his physical capacity – heavy lifting is out of the question. At the point of joining MOTW, Ian was suffering from depression. It meant he wasn’t leaving the house or looking for work. The Navigator recognised Ian’s health was the first thing he needed to focus on. He was referred to a social prescribing team who supported him with doctors appointments and health management techniques. With a more clear direction and regular activities, Ian also began to better manage his depression. The next step was to focus on employability. As he didn’t have a birth certificate, MOTW helped Ian to source a replacement which would prove he had the right to live and work in the UK. Ian accessed CV workshops and learned key employment skills. For instance, his Navigator spent time showing Ian how to attach and forward his CV over email which made job hunting much more straight forward. It also gave Ian the skills to job search independently. It quickly became clear to Ian that he needed to work on other skills, such as Maths, English and IT. His Navigator helped him access local courses. Furthermore, Ian had an interest in working in the care sector. He received support to access care training which would develop his knowledge of safeguarding and legislation surrounding the industry. All of these activities were building blocks, helping Ian take bigger steps towards returning to work. Ian stated: “My Navigator took the time to talk and listen about what I’d like to achieve, helping me set goals which were manageable for the long term. “I feel Moving On Tyne & Wear has taken the time to listen and understand my concerns which I haven’t experienced with other providers. I felt like it was a journey. The Navigator adapted the support offered to my needs and didn’t pressure me into doing things I wasn’t comfortable with or ready to do until my confidence was higher. “Through the programme, my health has improved. I’m in a better place and much more confident within myself. This would not be possible without the support I received from my Navigator and Moving On Tyne & Wear – without them, I’d still be down in the dumps”. If, like Ian, your health is stopping you from moving on and finding a job that works for you, get in touch.